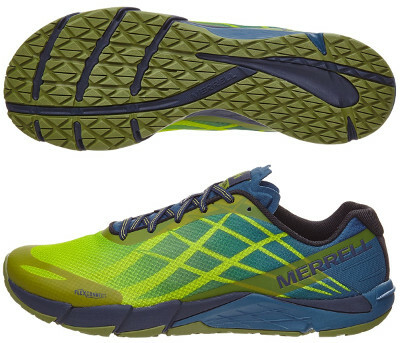 Merrell Bare Access Flex are neutral minimalist running shoes. The new Merrell Bare Access Flex breaks number based editions from successful Bare Access saga (it would be the fifth) and takes advantage of complete restyling to add a surname ("Flex") to promote its versatility. Although it looks like a conventional running shoe, the Bare Access Flex remains true to its origin with great blend of exceptional lightness, minimal but reliable cushioning (8 mm) and zero drop to enjoy a more natural running. As usual in last shoes from Merrell, it has been manufactured with high quality synthetic material making it vegan friendly. Upper is completely new compared to its predecessor, the best-selling Bare Access 4 and externally only keeps the same number (6) of eyelets. New synthetic and breathable mesh has been reinforced with fused elements with special attention to TPU unit (HyperLock™) in the heel which provides some extra stiffness. As well as popular Trail Glove 4, internal lining has breen treated with M-Select Fresh™ antibacterial technology to provide a more comfortable experience when running sockless. Midsole seems more impressive because it covers part of the upper for added protection when running offroad but it is only 1 mm thicker than in prior edition. The Bare Access Flex maintains the 8 mm CMEVA in the midsole with multidirectional grooves to make up what from Merrell names FLEXconnect™ (in addition to mentioned Hyperlock™ and custom lug pattern) encouraging to run on dirt tracks and informal paths. Current M Select™ GRIP+ outsole has been made in collaboration with well renowned manufacturer Vibram® featuring 2 mm lugs and anatomical grooves to promote great traction and flexibility regardless of terrain.